This weekend, Boston, the epicenter of higher education in the United States, will be home to the 2011 Millennium Campus Conference (MCC), a venue to discuss global issues like the environment, health, education, and extreme poverty. The conference, led by the Millennium Campus Network (MCN), a student-run organization consisting of different charitable groups from colleges around the country, takes place at Harvard on Saturday and Sunday. MCNâ€™s Harvard members -- Harvard Project for Sustainable Development, the Youth Alliance for Leadership and Development in Africa, the Harvard Global Hunger Initiative, the Leadership Institute at Harvard College, and the Harvard Office of Career Services -- are this yearâ€™s hosts. â€œThe Millennium Campus Network is a national, Boston-based non-profit that is strengthening the student movement to end extreme global poverty,â€� said Sam Vaghar, 25, Executive Director and co-founder of the group. In 2000, the United Nations passed a resolution, signed by 191 countries and featuring eight goals to cut extreme global poverty by 2015. Vaghar and his friend, Seth Werfel, who no longer has a formal role with the organization, were inspired by these UN Millennium Development Goals as students at Brandeis in 2007. To start out, groups from Brandeis, Harvard, and three other local schools -- Boston University, MIT, and Tufts -- joined forces, hosting the first conference at MIT six months after their initial meetings. 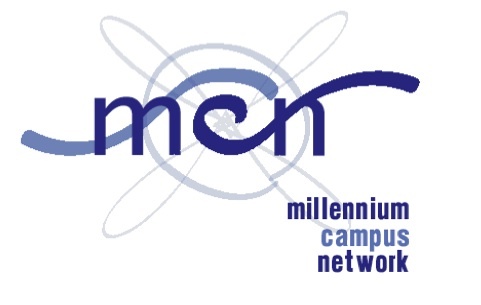 Curry College and Northeastern are now also involved with MCN. â€œThousands of campuses across the country,â€� are working on these different goals, said Vaghar. â€œWe just want to [do] what theyâ€™re doing and take it to the next level." Two years later, Columbia University held the second conference, which coincided with a 10-year review of the Millennium Development Goals in New York City. â€œThis year, itâ€™ll be great to bring [MCC] back to Boston,â€� said Vaghar. This weekendâ€™s event will include speakers like John Kerry, Eliza Dushku, and Somali-Canadian rapper Kâ€™naan, who will all be recognized for their charitable work at an awards ceremony Saturday night. There will also be panels on global health, education, climate change, and hunger and workshops for student groups about how to â€œfundraise, plan for the future, and cultivate your next group of leaders, so when current leaders graduate, the organization doesnâ€™t fall apart,â€� said Vaghar. Theobald joined MCN as a freshman and was hooked instantly. â€œIâ€™d been involved with work like this in high school, but I hadnâ€™t joined any student organizations [at Harvard] involved with international development yet,â€� she said. Theobald said she is excited for the networking opportunities that will arise from the conference. â€œ[Iâ€™m] very interested to be able to work with other students who are like-minded and as passionate as I am,â€� she said, adding that MCN provides many opportunities for these students and their organizations, including internships and the chance to obtain grants for their projects. â€œMCN has been a great source of fundraising for us,â€� said Manas Baba, a sophomore at Tufts who works for BUILD (Building Understanding though International Learning and Development), a group that â€œspeaks to student [about] the theory and practice of sustainable development in rural communities,â€� and is â€œpartnered with two communities in Guatemala and India,â€� she said. Building computer centers, toilets, and income generation activities are among the projects BUILD has worked on, Baba said. The organization partnered with MCN when both groups were working on projects in Guatemala. Vaghar said he has made many connections over the years working for MCN. â€œTen youth leaders got to sit in the Roosevelt Room to meet with President Obama. That to me was a really profound moment,â€� he said.